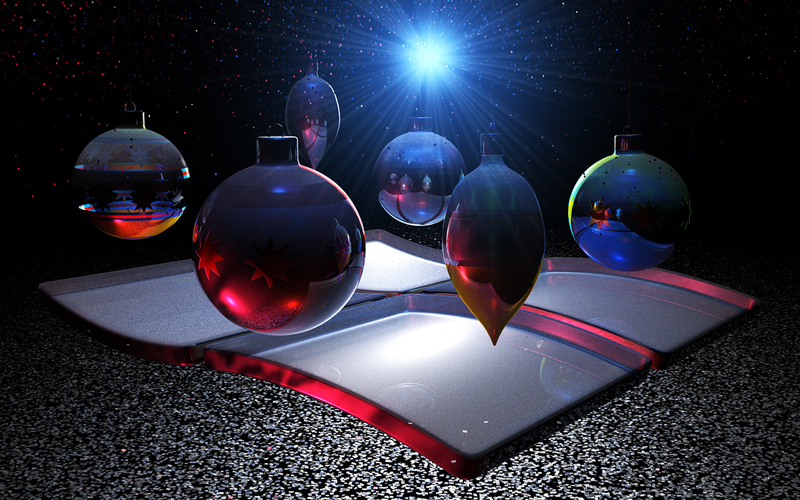 Cinema 4D.First Xmas wall, will do few more. 1920x1200, 1680x1050, 1440x900, 1280x800, 1024x640. Man, this rules, and thanks for making it Windows style, i dont Macs, srry, no offense� . Great job. Thanks for the link for the 1280x1024! Gorgeous artwork!!!! Merry Christmas to you!! !